For professional eye care services, turn to Molenaar Eyecare Specialists. We are a third-generation, family-owned optometry practice in Lansing, IL that has been providing no less than the best eye care services for more than 83 years. Whether you require eye examinations or are in need of prescription lenses, our practice is ready to help. Come to us for efficient, detailed, and superior quality eye care services that don’t break the bank. Molenaar Eyecare Specialists was established by Dr. James Molenaar in 1934. Dr. Wes Molenaar joined in 1964, followed by Dr. Brant Molenaar in 1994. All three generations have practiced their profession with the highest standards of professional care and patient concern, utilizing state-of-the-art instrumentation. As a result of this high level of care, our patients now span five generations and come from various communities all across the United States, United Kingdom, Virgin Islands, and several Canadian provinces for their eye care services. With each new generation of Molenaars, new levels of technology have emerged. 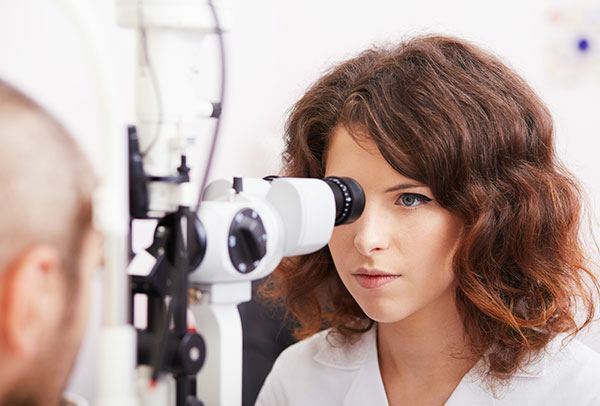 Molenaar Eyecare Specialists is now licensed to treat eye diseases, from infection to glaucoma, and co-manage cataract and Lasik patients with referred specialists. The clinic has developed a broad base of experience in the field of contact lenses, staying current with the latest designs and technology. New advances in high-powered magnification aids, such as CCTVs, LED magnifiers, and telescopic and microscopic eyeglasses, allow improved vision and independence for patients who have lost much of their vision due to health conditions, such as macular degeneration, glaucoma, and diabetes. Following the recommendations of the American Optometric Association, Molenaar Eyecare Specialists offers first eye exams for children ages 1-3, pre-school exams for children age 5, and then yearly check-ups all through the following school years. Adult eye exams are advised annually to ensure good eye health and optimum vision. Dr. Brant Molenaar and Dr. Wes Molenaar welcome all new patients and offer vision care for all age ranges, from infant and pediatrics, all the way up to senior citizens. Call us today to schedule an appointment with our experts.